The Great Pyramid of Giza is probably the most imposing structure ever. The second most impressive building on Earth might be the Burj Khalifa in Dubai, a skyscraper which is 828 meters high. And the third place on the list of the greatest buildings could have been Berlin’s BER Airport. But instead, the latter has become the most embarrassing project ever conceived by man. In 2012, the new airport for Berlin was supposed to be inaugurated. But since countless problems were found, having to do with safety in the building and other aspects, it was never opened. Now, almost seven years after the first inauguration date, and billions of Euro later, Thorsten Dirks, a Lufthansa board member, predicted “that thing will be pulled down and rebuilt”, according to the Frankfurter Allgemeine daily. Berlin, a city of 3.7 million inhabitants, used to have three airports. There was, and still is, Schönefeld, an airport serving 12 million passengers per year, which was inherited by former Eastern Germany (GDR). 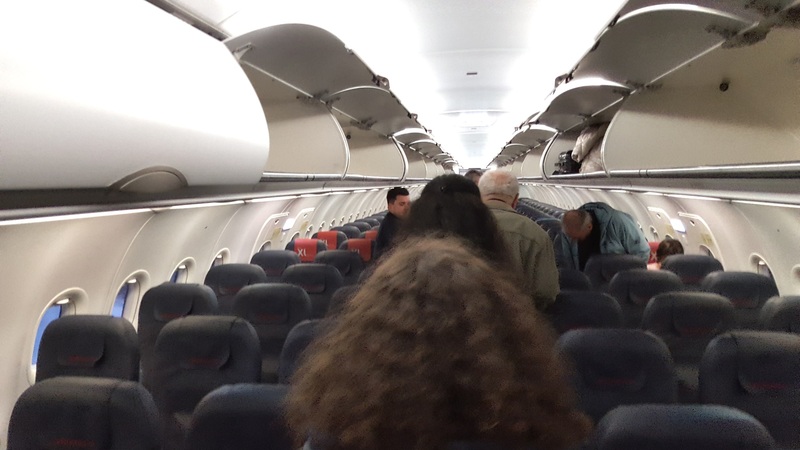 This one is mainly being used by low cost airlines such as Ryanair, Germania, easyJet, and by airlines concentrating on holiday destinations, such as Condor. 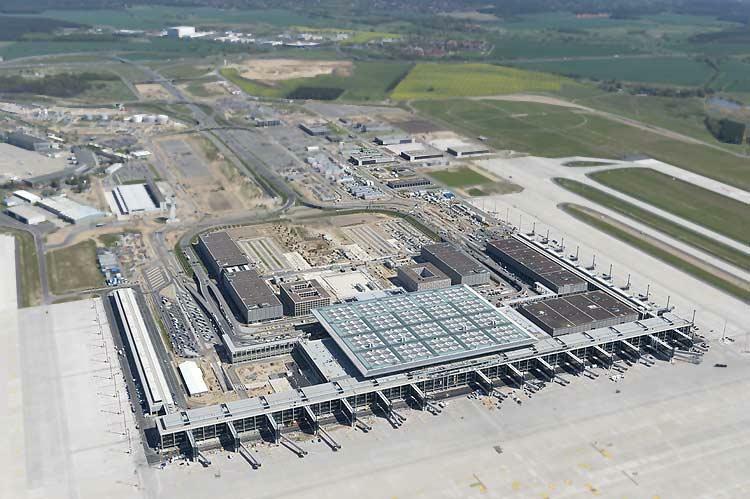 BER Airport: No flights before the autumn of 2020. Photo: BER. There used to be Tempelhof, a city airport opened in 1923. Nazi Germany extended and used it a lot. When the Soviets blocked road access to Berlin in 1948, Tempelhof Airport became the destination for the biggest airlift in history. Until 2008, it served as a city airport. Since 2008, it is closed for aircraft. Tegel is yet another airport in Berlin. It is the 4th busiest in Germany, with more than 20 million passengers per year. This ugly O-shaped airport has been in operation, the way it is today, since 1974. Both Tegel and Schönefeld were supposed to be replaced by BER in 2012. It all started in 1989, when the GDR’s airline Interflug and the Western German Lufthansa founded a commission which was supposed to work for the conversion of Schönefeld into a big, major airport. A year later, the two airlines announced the construction of a new airport for Berlin. In 1992, the plans for the bold project were written. A year later, the right site for the new airport was being sought. It was in 1994, when the first scandal erupted. According to reports in major publications, 520 million Marks (266 million Euro) were wasted long before the construction started. There is a huge airport under these clouds. But nobody uses it. Photo: Imanuel Marcus. After years of discussions about noise protection and the right location, those responsible took a decision in 1996: The new airport would be built in Schönefeld, close to the existing Schönefeld Airport, in the south of the German capital. So far so good. 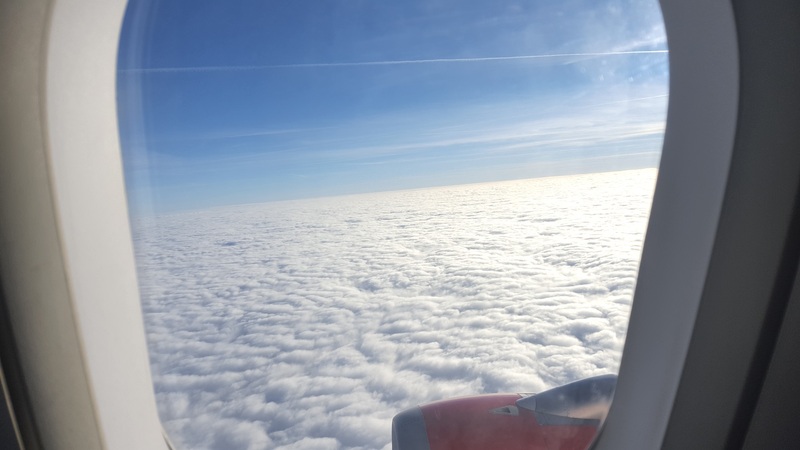 After a series of legal and bureaucratic discussions and decisions, a consortium around the construction giant Hochtief AG was commissioned to built the airport. In March of 1999, it looked like nothing could stop the project. Shortly after, in the year 2000, things changed again. The consortium suddenly looked very different. By 2001, 130,000 objections against the airport had been filed, mostly by residents in Schönefeld. They were supposed to be read and replied to during a hearing procedure. Early on, the German press believed building the new airport might take longer than expected. Articles published in 2002 predicted that it might take until 2014 to finish the project, because dioxin was found on the future construction site. 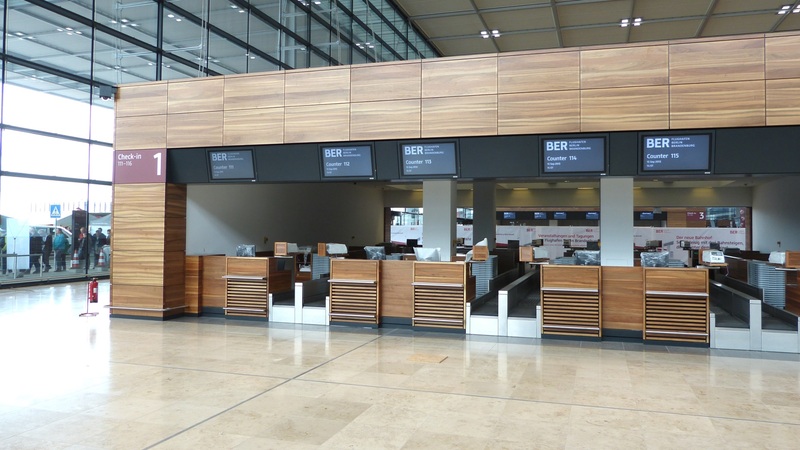 BER Airport does look modern and elegant. Photo source: Youtube. In 2003, the process to privatize the construction and operation of the airport failed. In the meantime, the funding of the BER airport was still more than shaky, while residents sued the state because of the expected noise level at night. Finally, on September 5th, 2006, the construction of the airport commenced. The largest German infrastructure project was on its way. In July 2008, they started building the terminal. At the same time, reports surfaced according to which the planning procedure was manipulated. Discussions and court action connected to night flights continued. 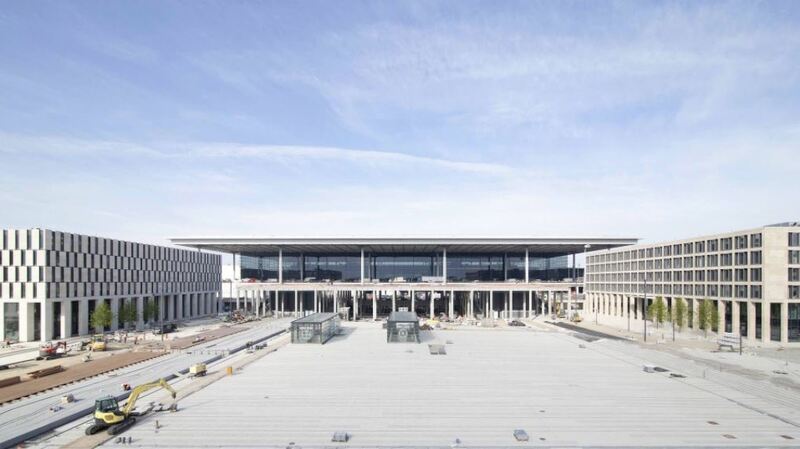 On October 30th, 2011, the BER Airport was supposed to be inaugurated. But it was not nearly completed. While legal problems dragged on, an entire village, Diepensee, was being moved because it was located right on the construction site. On June 3rd of 2012, the airport which also carries the name of one of the most charismatic Chancellors in German history, Willy Brandt, was supposed to be inaugurated again, but nothing happened. There were countless issues with permissions and fire safety. These passengers are bound for Berlin’s old airports. Photo: Imanuel Marcus. Today, another six years later, the airport costs 20 million Euro per month, but nobody is using it, since there are still too many problems. By now, monitors at the hundreds of check-in counters need to be replaced. They have exceeded their lifespan without ever being used. At this stage, BER Airport is scheduled to be inaugurated in fall of 2020, but nobody believes it will actually happen. Germany’s Traffic Minister Andreas Scheuer was just quoted saying the BER label was damaged so badly, it was the source of amusement abroad. Oh, really? By now there is one single person in all of Germany who still believes in BER Airport: Engelbert Lütke Daldrup. He has to believe in the project, since he is its boss. He blasted Lufthansa on Sunday. According to the “Bild” daily he said the airline’s statement about pulling down the airport was “nonsense”. Very convincing. At least the Berlin Senate and the German government are officially committed to completing the airport and inaugurating it. When will it actually happen? Nobody has the faintest clue.